Roslyn Reid will be defending her Tobago Calypso Monarch title on February 26 with a calypso of all calypsoes. 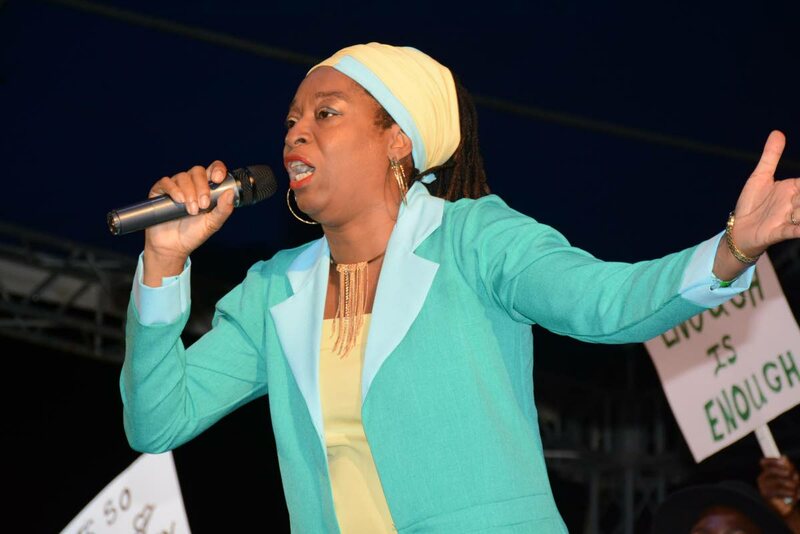 Reid will be coming with Sparrow, Tell Me, a song she said she wrote in 2013 after realising during the semi-finals of the National Calypso Monarch competition at Skinner Park, San Fernando, that the quality of calypso had deteriorated from her childhood days. “Almost all the calypso that year was about politics. That was not what I remember calypso to be all about. I then put this feeling to paper in three days and all I did was rearranged the verses this year to make it current,” she said in an interview on Wednesday. “The song is showing the state of calypso right now compared to the state it was at some years ago. The song speaks to the music not being play out of the Carnival season and barely played in the Carnival season. Reid also took the opportunity to bash interest groups for paying tribute and honouring veterans in calypso only when the artistes have died. “I speak about calypso not having a museum, not having a programme in schools and these are some things we must have because the artform is a major aspect of our culture. Only when calypso gets the forward it deserves, then it will be uplifted,” she said. Reid, who is a popular seamstress from Signal Hill, packs away her sewing machine for the Carnival season to compete in calypso competitions. She told Newsday Tobago this year was no exception, but she plans to give singing a rest in 2020. Meanwhile, as he prepares to defend her title in 2019, she has no expectations but is prepared to do her best and let the judges chose the best rendition. Reid, who has worked as a back-up vocalist and lead singer in calypso tents in Tobago before moving to Trinidad in 1999, and then returning 14 years later to now compete in the arena, writes her own songs. “I always kept writing, so I have a load of songs to go into competition,” she said. She came first in the Calypso Queen in Tobago 2013, and second in the National Calypso Monarch with her own composition, With You I Belong. “They stopped the Tobago Calypso competition in 2015 and I was the reigning queen. I didn’t get the chance to defend my crown,” Reid said. Reply to "Reid invokes Sparrow to defend title"